Tell us a bit about you, what is your profession? I am a surfer, travel-lover, and kiwi trying to inspire more sustainable changes. After traveling for six incredible years, it became clear that human consumption was everywhere. CaliWoods exists because we believe there is a better way to do things. I am passionate about sharing fresh ideas, motivating information, and eco products to make a sustainable life easier. 2. If you have a free day on the weekend, how would you choose to spend it? I love going on surfing missions and enjoying nature. 3. What is your go-to quick and easy meal? A vege curry. You can throw in everything you have in your fridge and its always delicious. They are super easy to do it waste-free, by buying ingredients in bulk and getting local veggies when possible. Get outside and move in some way, preferably a skate or surf but yoga, the gym and hiking does the same thing. 5. Reflecting on 2018, what would you like to change about the way you are living your life? No changes as this year has been incredible! 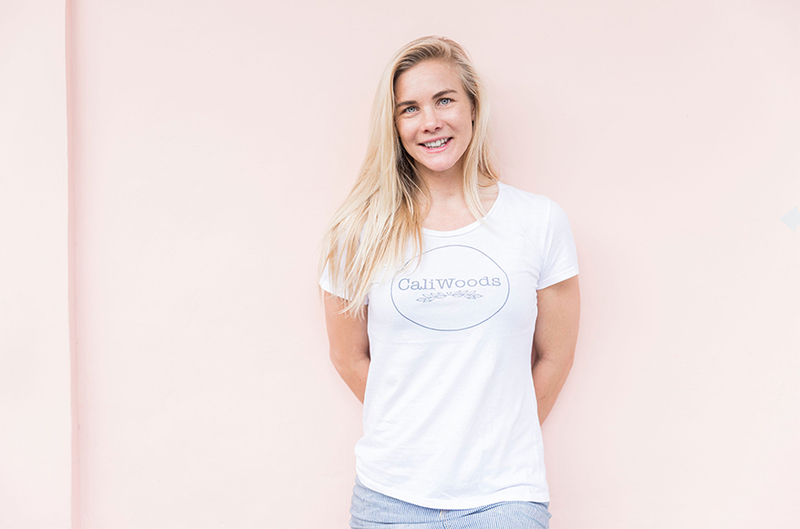 If I was to optimise, it would be to make the influence myself and CaliWoods is having even larger - providing more tools for individuals to make small and easy steps towards sustainable living. Inspiring and empowering people to live sustainably is amazing. 6. How are you going to implement those changes in 2019? Roadmap of goals, making sure I set some awesome benchmarks, and work towards them for 2019. Being myself and continuing to love what I do makes me inspired to help others.